Retailers and financials led the JSE higher on Tuesday after the rand strengthened to a 2-week high against the greenback. The rand briefly traded below R14 against the US dollar to reach a session high of R13.95/$. This was after news broke out that the South African parliament’s portfolio committee on public works had withdrawn the Expropriation Bill due to lawmakers reviewing a section of the constitution which allows for the government to expropriate land without compensation. The rand quickly erased those gains as it retraced to trade at R14.12 at 17:00 CAT. Woolworths [JSE:WHL] ended amongst the day’s biggest gainers after the stock added 4.11% to close at R53.41 per share. Mr Price [JSE:MRP] climbed to R243.50 after adding 1.56%, while the Foschini Group [JSE:TFG] added 1.56% to close at R186.30 per share. Old Mutual [JSE:OML] firmed by 2.11% to end the day at R31.50, and ABSA Group [JSE:ABG] managed to post gains of 1.01% to close at R167.79 per share. 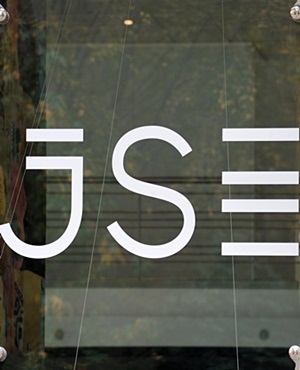 On the broader All-Share index, South32 [JSE:S32] maintained its recent momentum as it jumped 6.26% to close R37.34, while Net 1 UEPS [JSE:NT1] gained 5.04% to close at R125.00 per share. Rhodes Food Group [JSE:RFG] jumped towards the JSE close eventually ending the day up 8.11% at R19.31. Cement producer, PPC Limited [JSE:PPC] climbed to R6.17 per share after picking up 3.31%, and Imperial Holdings [JSE:IPL] closed 2.85% higher at R214.95 per share. Raubex [JSE:RBX] retreated by 5.14% to close at R22.51 to feature amongst the day’s biggest losers. EOH Holdings [JSE:EOH] failed to find any reprieve as it slipped by a further 4.95% to end the day at R40.68 per share. Steinhoff International [JSE:SNH] eased to R2.20 per share after dropping 2.65%, and Murray & Roberts [JSE:MUR] was 1.81% weaker to close at R16.25. Gold miner, Gold Fields [JSE:GFI] lost 2.09% to close at R35.62, while AngloGold Ashanti [JSE:ANG] weakened to R112.75 after shedding 0.68%. Retailer, Shoprite [JSE:SHP] dropped 1.46% to close at R220.32 and British American Tobacco [JSE:BTI] was 1.72% softer to close at R711.41 per share. The JSE Top-40 index was largely trading in the green which saw it close 0.61% firmer, while the JSE All-Share index added 0.64%. The financials index was inspired by the firmer rand as it closed 1.07% higher, while the Industrials and Resources indices added 0.59% and 0.35% respectively. Gold struggled for direction on the day and at 17.00 CAT it was mildly softer to trade at $1209.56/Oz. Platinum was down 0.42% to trade at $799.98/Oz and Palladium was 0.9% weaker to trade at $942.74/Oz. Brent crude retreated from a session high of $76.97/barrel to trade 0.1% firmer at $76.29/barrel just after the JSE close. At 17.00 CAT, Ethereum was up 4.04% to trade at $287.98/coin and Bitcoin was up 4.68% to trade at $7055.70/coin.